AI builds websites, apps, email signatures and more for franchises, trade organisations, telcos. $12.5K minimum + 25% on recurring payments! AIFE takes content traditionally destined for a lone website. Fully automatically, she then re-designs and re-purposes this content to create beautiful unique websites, apps, email signatures, VR experiences, PDF brochures and more. No DIY design, no coding. Delivery is instant. Even uniquely tailored starter content is provided. Designs across the entire footprint are always unique, even when adhering to strict branding guidelines. "No brainer" is what our sales reps say. AIFE as an online SaaS product has been a very easy sell to individual businesses. Customer churn has proven to be extremely low due to natural lock-in. The latter is of course the magic bullet for bundling with other business services. 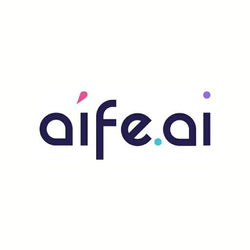 That's why AIFE can be entirely white-labelled for use by other businesses and organisations to enhance their other business offerings and piggy back on AIFE's excellent lock-in. Potential white-label customers range from banks to real estate, from franchises to telcos, from directories to banks; anyone with a customer base looking to start offering digital footprint creation can apply. Automated custom content ingest from CRM or customer databases can be supplied for super fast, hands-off onboarding. Offering AIFE as a completely white-labelled solution, suits high ticket closers. Ongoing license fees and per-seat revenues make it in everyone's best interest that the clients and their end-customers (e.g. the individual businesses) are happy. As such AIFE (as does any SaaS offering), suits sales professionals with a high regard for maintaining client relationships and follow-ups.